One of the elements from my wedding that I got the most compliments on was the bridesmaids’ dresses, which you may remember from this post. I didn’t want my bridesmaids to look like typical bridesmaids, so I had the fabulous Elizabeth Kennedy design a collection of cohesive yet mismatched gowns. But just because you don’t have a couturier at your disposal doesn’t mean you can’t achieve the same look for your big day. 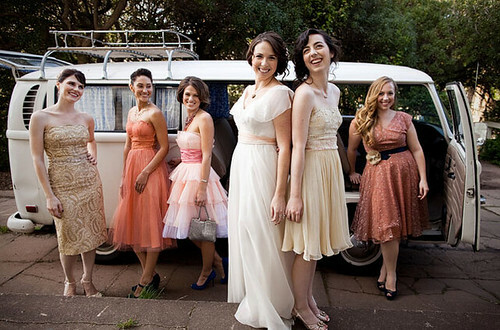 Follow these easy pointers, and your bridal party will be perfectly mismatched too! Start by picking a color scheme. It can include several tones, but make sure they all fall in the same color family. Pantone color books or paint fan books from your local hardware store make great sources of inspiration if you’re feeling stumped. Think of buzzwords that get your overall concept across—ie. 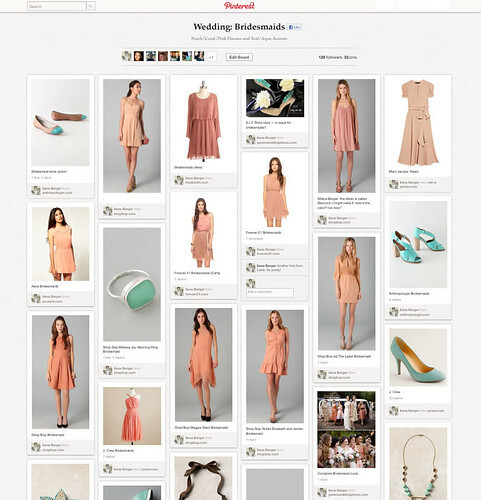 vintage, elegant, girly, retro, modern or simple—and pass those along to your bridesmaids with the inspiration board. Now comes the fun part: Let your girls pick out dresses that they’ll actually wear again!!! (How’s that for a concept?) They can choose from the ones you suggested or find something else similar. You can certainly try taking a shopping trip with all the girls at once, but if you have a larger wedding party chances are not everyone will find something in one place. That’s OK—just make sure they run their choices by you before they make the purchase (the bride still deserves final say after all). What do you think of the mismatched bridesmaids dresses trend? Do you love it or prefer a more traditional look? 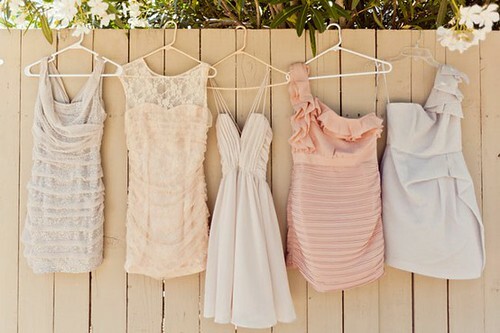 I've said this time and time again, every woman needs a little bit of feminine in their wardrobe. I'm all about a great pair of denim with a rocker tee but every wardrobe needs versatility. There's nothing sexier than a flirty dress that accents all of your assets while still leaving a lot to the imagination.